The Sopwith Aviation Company: The Sopwith Aviation Company was a British aircraft company that designed and manufactured aeroplanes mainly for the British Royal Flying Corps, Royal Naval Air Service and later Royal Air Force in the First World War, most famously the Sopwith Camel. Sopwith aircraft were also used in varying numbers by the French, Belgian and American air services during the War. The company was founded in Kingston-upon-Thames by Thomas Octave Murdoch (Tommy, later Sir Thomas) Sopwith, a well-to-do gentleman sportsman interested in aviation, yachting and motor-racing, in June of 1912. The company's first factory premises opened that December in a disused ice rink. During the First World War, the company made more than 16,000 aircraft and employed 5,000 people. Many more of the company's aircraft were made by subcontractors than by Sopwith's themselves. These included Fairey, Clayton & Shuttleworth, William Beardmore and Company and Ruston Proctor. 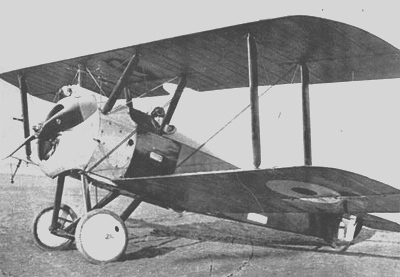 The Sopwith company was wound up in 1920 after failing to achieve sufficient success with civilian products (which had prompted the purchase of ABC Motors in 1919) to compensate for the drop in military aircraft orders after the end of the War and a potential large demand from the government for Excess War Profits Duty. Initially, Tom Sopwith himself, assisted by his former personal mechanic Fred Sigrist, led the design of the company's types. 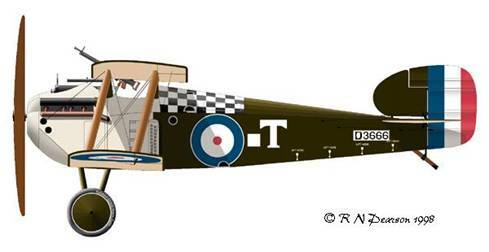 Following a number of unremarkable pre-war designs for the Royal Naval Air Service, such as the Three-Seater and Bat-Boat, Sopwith's first major success was the fast and compact (hence the name) Tabloid, a design which first showed the influence of the company's test pilot, the Australian Harry Hawker. A float-equipped version of this aircraft won the Schneider Trophy in 1914. 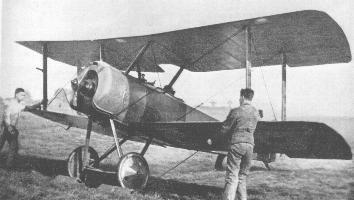 The landplane version used by both the RNAS and RFC at the start of the war. 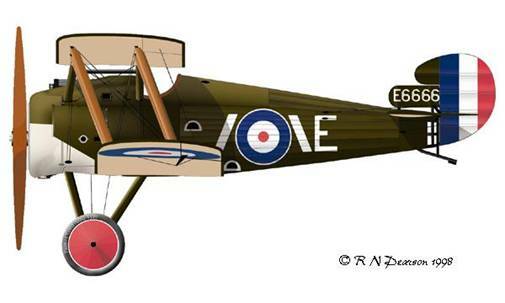 With higher power and floats, the type evolved into the Sopwith Baby, which was a workhorse of the RNAS for much of World War One. 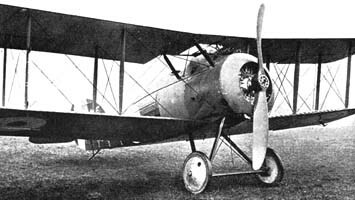 In 1916, Herbert Smith became Chief Engineer of the Sopwith company, and under his design leadership its other successful World War I types included the larger Type 9901. This aircraft, better known as the 1 1/2 Strutter due to its unconventional cabane strut arrangement, was used from 1916 by the RNAS, RFC and the French Aviation Militaire as a single-seat bomber, two seat fighter and artillery spotter and trainer. Soon after came the small and agile single-seat Scout, which quickly became better known as the Pup because of its obvious descent from the 1 1/2 Strutter. The Pup and 1 1/2 Strutter were the first successful British tractor fighters equipped with a synchronising gear to allow a machine gun to fire through the rotating propeller. This gear was known as the Sopwith-Kauper gear from its designers, although several other designs were used later. The Pup was widely used on the Western Front by the RFC and from ships by the RNAS from the autumn of 1916 to the early summer of 1917, and was considered a delight to fly by its pilots. It continued in use as an advanced trainer for the remainder of the War. Experimentally equipped with three narrow-chord wings and a more powerful engine, the Pup led to the Triplane, which was used only in small quantities in the spring of 1917, but became well-known for its startling fighting qualities, put to best use by Raymond Collishaw's famous 'Black Flight' of 'Naval 10' (10 Squadron, RNAS). This flight was so called due to the black identification colour of the flight's aircraft, which in turn led to their naming as Black Maria, Black Prince, Black Death, Black Roger and, rather lamely, Black Sheep. Such was the impact of this type that it spawned a large number of experimental triplane designs from manufacturers on all sides, although only the Fokker Triplane achieved any subsequent success. Towards the end of the war the company produced the Cuckoo torpedo-bomber and the Salamander armoured ground-attack development of the Snipe, but these types were too late to see action. Many other experimental prototypes were produced throughout the war, mostly named after animals (Hippo, Gnu etc), leading to some referring to the 'Sopwith Zoo'. Sopwith attempted to produce aircraft for the civil market based on their wartime types, such as the Dove derivative of the Pup and the Swallow, a single-winged Camel, but the wide availability of war-surplus aircraft at knock-down prices meant this was never economic. Upon the liquidation of the Sopwith company, Tom Sopwith himself, together with Harry Hawker, Fred Sigrist and Bill Eyre, immediately formed H.G. Hawker Engineering, forerunner of the Hawker-Siddeley Aviation company. Sopwith was Chairman of Hawker-Siddeley until his retirement. Hawker and its successors produced many more famous military aircraft, including the inter-war Hart, and Demon; World War 2's Hurricane, Typhoon, and Tempest; and the post-war Sea Fury, Hunter and Harrier. Incredibly, these later jet types were manufactured in the exact same factory buildings used to produce Sopwith Snipes in 1918. The Sopwith 1½ Strutter was a British one or two-seat biplane multi-role aircraft of the First World War. It is significant as the first British aircraft to be designed with an interrupted machine gun, and along with the DH.2 and F.E.2, contributed to the ending of the German period of dominance on the Western Front known as the Fokker Scourge. Designed by the Sopwith Aviation Company, the 1½ Strutter was so nicknamed because the upper and lower wings on each side of the aircraft were connected by a pair of full struts near the tip while a pair of half struts connected the upper wing to the fuselage fore and aft of the pilot's cockpit. The aircraft had airbrakes on the lower wings and was powered by a 130-hp (97 kW) Clerget rotary engine. The main armament was a .303-in Vickers machine gun and up to four 56 lb (25 kg) bombs could be carried. The observer was armed with a Lewis gun in a Scarff ring mount. The Ross interrupter gear used by the forward-firing gun was unreliable and many aircraft flew with the non-interrupted trigger still fitted so that if necessary, the pilot could trust to luck and the Strutter's good glide performance and fire uninterrupted through the propeller. Consequently, 1½ Strutter squadrons were known to go through a few propellers. The prototype two-seater flew in December 1915 and the first aircraft entered service in April 1916. A single-seat bomber version was also built. Another variant, known as the Ship Strutter, was built for service from aircraft carriers and other warships of the Royal Navy. Around 1,500 1½ Strutters were ordered by the Royal Flying Corps and the Royal Naval Air Service and between 4,200 and 4,500 1½ Strutters were built in France. Built as part of an order of 100 Admiralty type 9400-9700 and fitted with 110hp Clergets as standard although some aircraft fitted with 130hp Clergets. This aircraft was a single seat fighter version. The final fate of this aircraft is not known. Sopwith Camel Intended as a replacement for the Sopwith Pup, the Camel prototype first flew in December 1916. Known as the "Big Pup" early on in her development, she was armed with two .303 in (7.7 mm) Vickers machine guns mounted in the cowl, firing forward through the propeller disc. A fairing surrounding the gun installation created a hump that led to the aircraft acquiring the name Camel. The type entered squadron service in June 1917, and approximately 5,500 were produced. Unlike the preceding Pup and Triplane, the Camel was not considered pleasant to fly. With the majority of weight packed into first seven feet of the aircraft coupled with the strong gyroscopic effect of the rotary engine the Camel exhibited several idiosyncrasies and soon gained a dangerous reputation with student pilots. The Clerget engine was particularly sensitive to fuel mixture control, and incorrect settings often caused the engine to choke and cut out during takeoff. Many crashed due to mishandling on takeoff when a full fuel tank affected the center of gravity. In level flight, the Camel was markedly tail-heavy. She turned sharply to the right with a nose-down attitude, while turning slowly to the left with a nose-up attitude. Turns in either direction required left rudder. A stall immediately resulted in a spin and the Camel was particularly noted for its vicious spinning characteristics. Controls were light and sensitive. 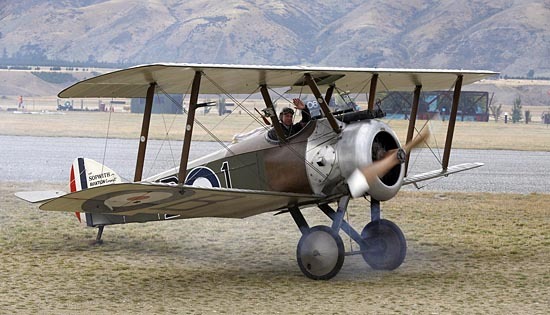 Nevertheless, agility in combat made the Sopwith Camel one of the best remembered Allied aircraft of World War I. To her pilots, she was referred to as providing a choice among a "wooden cross, red cross and Victoria Cross." 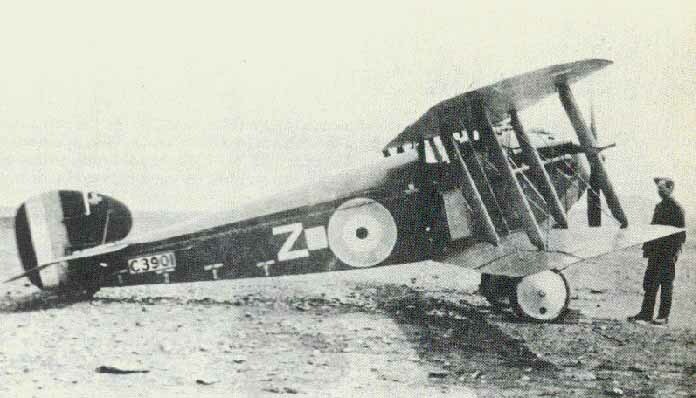 Together with the S.E.5a, the Camel helped to wrest aerial superiority away from the German Albatros scouts. The Camel was credited with shooting down 1,294 enemy aircraft, more than any other Allied scout. Major William Barker's Sopwith Camel (serial no. 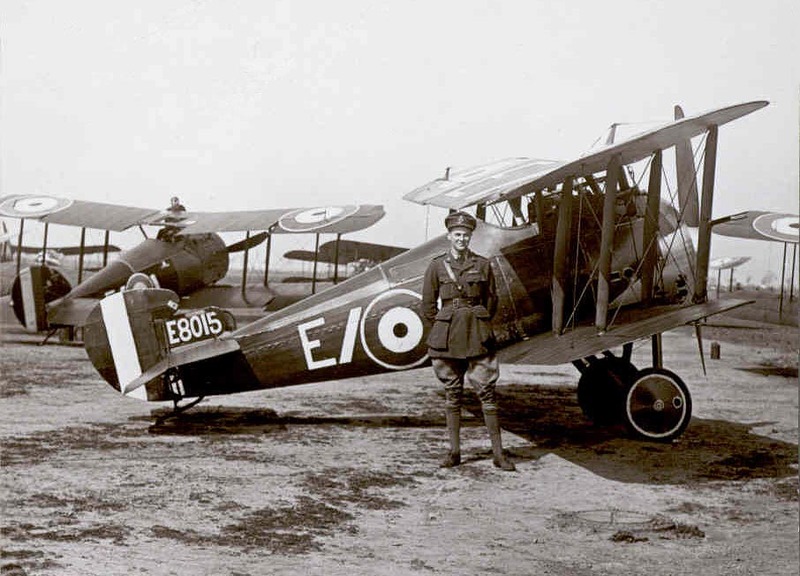 B6313, the only aircraft the Canadian ace scored any victories in) became the most successful fighter aircraft in the history of the RAF, shooting down 46 aircraft & balloons from September 1917 to September 1918 in 404 operational hours flying. It was dismantled in October 1918. Barker kept the clock as a memento, although he was asked to return it the following day. By mid-1918, the Camel was approaching obsolesence as a fighter, limited by its slow speed and comparatively poor performance over 12,000 feet (3650m). 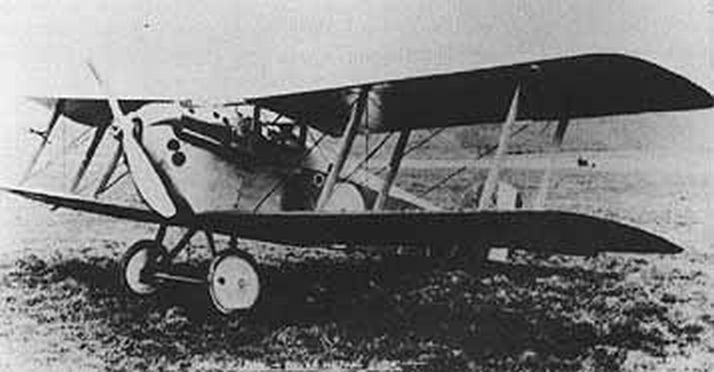 It found a new lease of life as a ground-attack aircraft and infantry support weapon, especially after the German Offensive of March 1918 when flights of Camels harassed the advancing German Army, inflicting high losses (and suffering high losses in turn) through the dropping of 25lb (11kg) Cooper bombs and ultra low-level strafing. 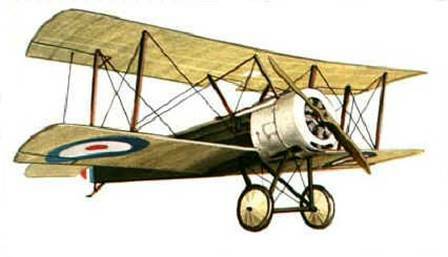 The protracted development of the Camel's replacement, the Sopwith Snipe, meant the Camel remained in service until the Armistice. The Camel was powered by a variety of rotary engines during the production period. The Gnome engines differed from the others in that a selector switch could cut the ignition to all but one of the cylinders to reduce power for landing. (This was because rotary engines did not have throttles and were at full 'throttle' all the while the ignition was on) On the others the engine had to be "blipped" using a control column-mounted ignition switch (blip switch) to reduce power sufficiently for a safe landing. Pilot seat moved to rear. The twin Vickers guns were replaced with two Lewis guns fitted to the top wing. Served with Home Defence Squadrons against Zeppelin raids. 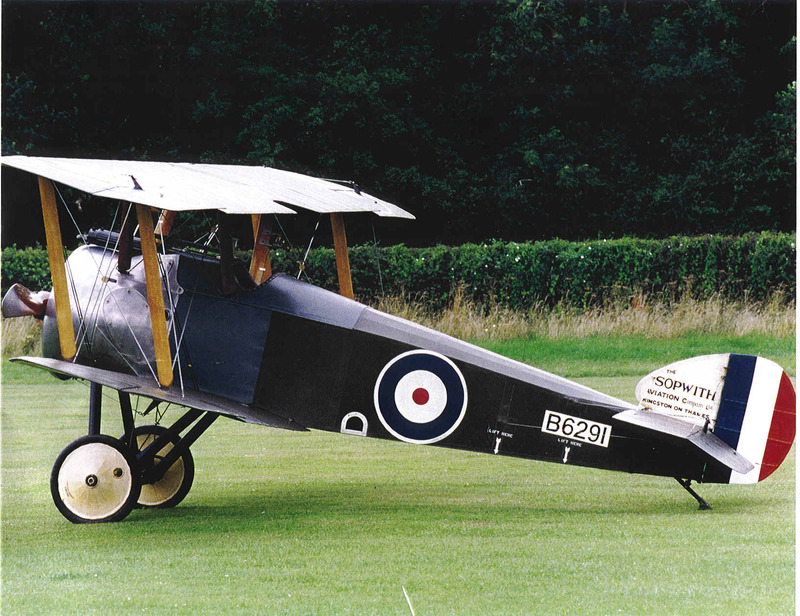 Built by Clayton and Shuttleworth as part of an order for 100 aircraft and fitted with 130hp Clerget engines. This aircraft was delivered to the Royal Naval Air Service. The aircraft is known to have served with 209squadron; the pilot was 2nd Lt O.G.Brittorous. The final fate of this aircraft is not known. Built by Boulton Paul as part of an order for 100 aircraft. The final fate of this aircraft is not known. Built by Boulton Paul as part of an order for 300 aircraft. The final fate of this aircraft is not known. Built by Clayton and Shuttleworth as part of an order for 100 aircraft. The final fate of this aircraft is not known. Built by Portholme Aerodrome Company as part of an order for 50 aircraft all powered by Bentley B.R.1 engines. The final fate of this aircraft is not known. Sopwith 5F1 Dolphin This was one of the most underrated aircraft of the First World War and was based at Waddington for 9 months in 1919 with 23 Sqn between their return from the front in France and their disbandment. The official designation was the Sopwith 5F.I and this is likely to be the aircraft flown by 23 as few of the Mk II & III versions were built. The aircraft was a fairly radical design for Sopwith as it changed from radial to in-line engine and from trailing lower wing to trailing upper wing, with the intention of replacing the Camel. The reason for the latter was to improve visibility. As well as trailing, the upper wing was very low so that the pilots head stuck up above it for total upward vision, but by ducking down he could still see down as well as on any other biplane. The problem with this was that it made him very vulnerable to nose-over crashes, a common occurrence on biplanes of the day. This was made worse by the 2 Lewis guns which pointed up at about 40 degrees through the top wing and the aircraft became known as the 'block-buster', although this was somewhat undeserved as the usual result of a nose-over was that it stopped on its nose with the tail in the air and the pilot merely shaken up! Nevertheless, Squadrons tended to modify the aircraft by removing the upper guns completely, remounting them below the wings, fitting crash pylons to the upper wings, or a combination of the above. Initially delivery was slow due to unreliability of the Hispano Suiza engines reduction gear box, which also contributed to the aircraft's unpopularity, and they did not reach the front until November 1917. A total of 1532/1778 were delivered/built and the aircraft achieved a formidable combat record, particularly with 79 and 19 Squadrons (where Major A.D. Carter had 31 victories in only 3 months), but never caught the attention of the public or the Air Ministry in the way some lesser able aircraft did. Above 15,000' it was King of the skies and the fact that the cockpit was forward of the upper wing kept it unusually warm, so the pilot was a lot happier to be up there than his adversaries. The aircraft was well liked by pilots who learned to use the unusual advantages that came with the wing layout, particularly in turning dogfights. As well as the Lewis guns the Dolphin carried 2 synchronised Vickers guns and racks for 4 25lb bombs below the lower wing. The engine was a Hispano Suiza water cooled V8 of 220hp which took it to 125 mph and 21,000'. Service delivery began in October 1917. Wing: Two bay biplane with equal span, unswept, reverse staggered wings of wooden structure. Ailerons on all four wings. Fuselage: Box section fuselage with faired top decking mounted on lower wing. Tail Unit: Wire braced tailplane with split elevator. Single fin and rudder. Landing Gear: Crossaxle type undercarriage mounted on V struts attached to fuselage lower longeron. Tail skid. Power Plant: One 200 hp Hispano-Suiza 8Ba engine mounted in the nose driving a two bladed propeller. Accommodation: Single seat for pilot in open cockpit beneath cut-out in upper wing. Armament: Two fixed Vickers guns and one Lewis gun. Up to four 25 lb bombs. Dimensions: Span: 32 ft 6 in; Length: 22 ft 3 in; Height: 8 ft 6 in; Wing Area: 263.25 sq ft. Performance: Max Speed: 123.5 mph at 10,000 ft; Climb: 5 min 30 sec to 6,500 ft; Service Ceiling: 21,500 ft; Endurance: 2.25 hr. Built by Sopwith as part of an order for 200 aircraft. The final fate of this aircraft is not known. Built by Sopwith as part of an order for 500 aircraft although only 200 were known to have been built and delivered mainly to foreign governments. It is unsure whether this aircraft was actually constructed although is serial number is quite close to the start of the range of serial numbers allocated.. The final fate of this aircraft is not known. Sopwith 7F1 Snipe The Snipe was designed by Herbert Smith, the chief designer of the Sopwith Company, in 1917. It was intended to be the replacement for arguably Sopwith's most famous aeroplane, the Sopwith Camel, which had performed remarkably well during the First World War since it had entered service in 1917, and gained much fame for its exploits during the war. The Snipe began production in 1918, with more than 4,500 being ordered. It began to enter service that year, the last year of the war, and first joined No. 43 Squadron RAF. 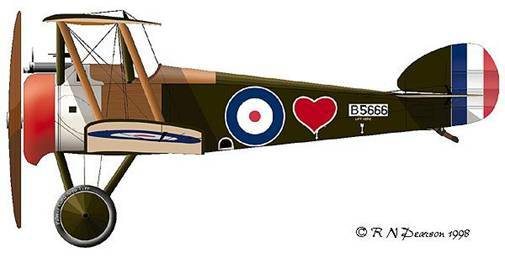 The Snipe also saw service with the Australian Flying Corps (AFC) and post-WW1, with the Canadian Air Force (CAF), but ended service with the Canadians in 1923, a year before the Royal Canadian Air Force (RCAF) was formed. The Snipe's structure gave far better visibility for the pilot in the cockpit compared to the Camel. Although not a fast aircraft for 1918, it was very manoeuvrable, and much easier to handle than the Camel. The Snipe also had a superior rate of climb, and much better high-altitude performance compared to its predecessor allowing it to fight Germany's newer fighters on more equal terms. Further modifications were made to the Snipe during the war and post-war. The Snipe was built around a single Bentley BR.2 rotary engine though its origins in the Camel design was still quite evident. It had a max speed of 121 mph compared with the Camel's 115 mph (185 km/h) and an endurance of three hours. Its armament consisted of two forward 0.303 in (7.7 mm) Vickers machine guns and was also able to be armed with up to four 25 lb (11 kg) bombs, identical to the Camel's armament. The Snipe entered service in time to be involved operationally in the First World War and would prove to be a potent fighter during its brief involvement in the war, performing a variety of duties. Arguably the most famous incident the Snipe was involved in occurred on 1918-10-27. Major William George Barker, a Canadian in No. 201 Squadron, attacked a two-seater German aircraft and swiftly shot it down. However, Major Barker was soon attacked by a Fokker D.VII, which after some resistance, was shot down by the Canadian. Major Barker, by himself, was subsequently attacked by about sixty German Fokker D.VIIs in formation, an aircraft that was widely considered to be the ultimate German fighter design of WWI. Despite the odds, Major Barker ripped into the German aircraft, and even though he was suffering from quite horrific wounds, eventually achieved four kills. Barker managed to return to British lines safely where he crashed his Snipe. Major Barker was awarded the Victoria Cross for his heroic actions. The Snipe gained rather a lot of combat victories in its short involvement in the war. In 1919, the Snipe also took part in the Allied intervention on the side of the White Russians during the Russian Civil War against the Bolsheviks. A small number of RAF Snipes were actually captured by the Bolsheviks and pressed into service. The production of the Snipe ended in 1919, with just under 500 being built, the rest were cancelled due to the wide-ranging cuts imposed on the British armed forces post-WWI. 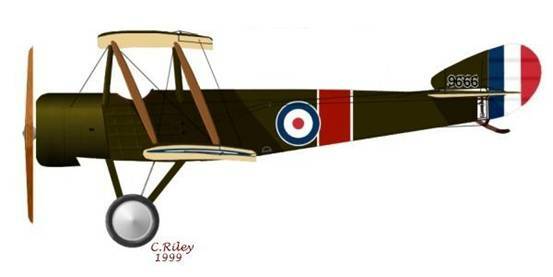 Selected as the standard post-war single seat fighter of the RAF, the last Snipes were discarded by that service in 1926. Built by COW as part of an order for 150 aircraft. The final fate of this aircraft is not known. Built by Ruston Proctor as part of an order for 500 aircraft. The final fate of this aircraft is not known. Sopwith Pup A666 The Sopwith Pup was a single seater biplane fighter aircraft used by the British in World War I. 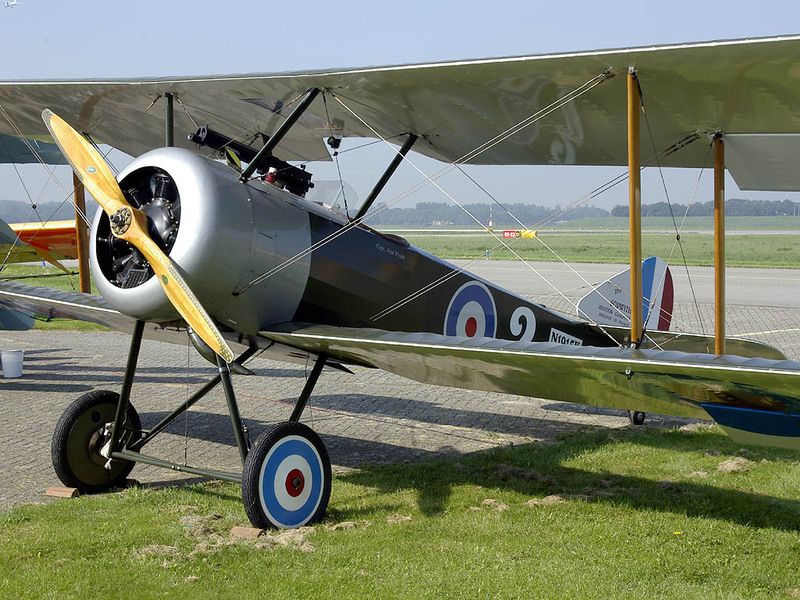 It was manufactured by the Sopwith Aviation Company and was officially named the Sopwith Scout. 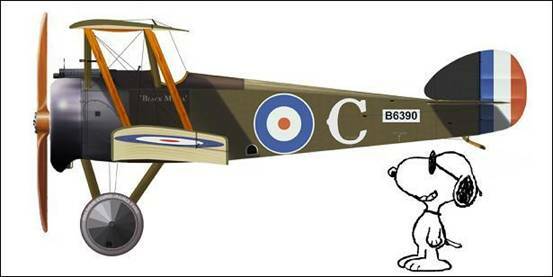 It was nicknamed the Pup because it looked like a smaller version of the two-seat Sopwith 1½ Strutter; the name Pup was not used officially as it was reportedly thought to be undignified. The Pup was a highly regarded aircraft. It was pleasant to fly and was simple and reliable. Its large wings gave it a good rate of climb and agility, especially at altitude. It was underpowered compared to the German Albatros D.III but could turn twice in the space of a single turn by an Albatros. It was used to great effect by both the Royal Flying Corps and the Royal Naval Air Service. The first Pups reached the Western Front in October of 1916 and a total of 1,770 were built. After being removed from frontline service in mid-1917 they were used by a Home Defense squadron against Zeppelins. 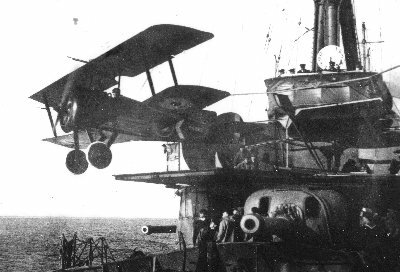 On August 2, 1917, a Sopwith Pup flown by Sqn Cdr Edwin Dunning became the first aircraft to land aboard a moving ship, HMS Furious. Dunning was killed on his third landing when the Pup fell over the side of the ship. The Pup was based on the personal plane of Sopwith's chief test pilot Harry Hawker. It was armed with a single, forward firing .303 in (7.62 mm) Vickers machine gun. The machinegun fired forward through the propeller by means of an interrupter gear. Built by Standard Motors as part of an order for 50 aircraft. The final fate of this aircraft is not known.